He provide all of your home and car audio and video need from the latest retail items to hot custom installs. Check out our website for great daily deals! Brandywine Auto Repair is a Full Service Maintenance and repair facility specialize in Import and Domestic, Cars and Light Trucks. Motorcycle Parts and Accessories for Honda, Yamaha, Kawasaki, Suzuki, Harley-Davidson. We specialize in providing a towing service that offers everything you need, including local towing, flatbed tow trucks, roadside assistance, battery jumping, fuel delivery, long distance towing, tire changing, and more. We also offer 24 hour emergency service and are ready to assist you whenever you need us most. We service New Castle, Newark, Bear, Wilmington, and Middletown, Delaware. Contact DDT for cheap tow rates in NCCo. Professional Mobile Auto Detailing serving all of Delaware and surrounding areas. We come to you, and we leave your vehicle looking amazing! Diamond State Automotive in New Castle, Delaware is your one stop shop for all your diagnostic automotive repair needs in New Castle County, Delaware. From tire and brake repair we do all types of automotive maintenance on many foreign and domestic cars and Trucks. Dun Rite TiresPlus Wheels Inc.
Dun-Rite Tires Plus Wheels offers New and Used Tires as well as Custom Wheels and Accessories in the Wilmington, DE area. We feature the largest selection of wheels in the state. Our shop carries all major brands for Cars, Trucks, and SUVs. We value our clients that is why we only provide premium quality and reliable products at reasonable rates. Four Acre Trailer Sales has been providing the Delaware area with premium trailers, golf carts, snow plows and truck caps since 1958. In addition to our sales of these products, Four Acres Trailers also offers a full service department for any repairs along the way. Four Acres is a proud distributor of Snow Dogg snow plows, Century truck caps, and a wide variety of brand name trailers. Come see our inventory and find the perfect match for your trailer needs. Four Acres is conveniently located in tax free Delaware on Rt. 4, with easy access from Pennsylvania, Maryland, and New Jersey. Located in downtown Wilmington for over 60 years, Isaacs is a full-service repair facility specializing in all makes and models of vehicles. 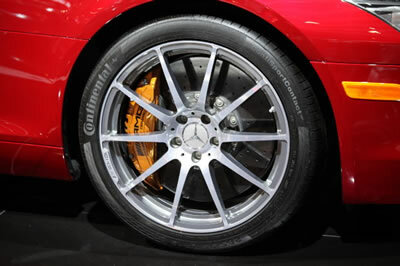 Wheels, tires, brakes, factory maintenance, fleet maintenance, performance parts and accessories-we do it all. Specializing in European cars-full diagnostic equipment for most makes and models. Monthly and daily secure parking available. Joe Shilling Inc. is the only AAA Approved Transmission Repair Facility in northern New Castle County, Delaware. We are also a Delaware Certified Emission Technician which allows us to repair and certify vehicles for state emission inspection. Check our website, Angie’s List and Facebook for more information and great reviews! New Lexus and Certified Pre-owned Lexus dealership. We also have a HUGE climate controlled showroom for several pre-owned vehicles with ALL makes and models displayed. Our service department will valet your new Lexus up to 2 hours away allowing you to stay in the comfort of your own home or complete your daily duties in 1 of 60 New Lexus Loaners! Matt O’Connor and Matt Conly have 65 years experience of auto service combined. They started working together on side work projects in the 1980’s and eventually grew their business into M&M Automotive LLC. In January of 2016, they officially opened shop and began working full-time as owner/operators of the business. They are hands on with all of the projects that come through M&M Automotive. AT M&M Automotive, we provide maintenance, transmission, brakes, tires and fleet services. We also customized jeeps and trucks for off-road driving and service muscle cars. We are ASC certified and have GM, Buick, Chevrolet, Pontiac, Hummer, Saturn and Cadillac certifications. We are familiar with all types of vehicles, including those not listed and are qualified to work on those, as well. We pride ourselves on doing honest work and providing honest feedback to our customers. We will let you know what needs to be done to your vehicle to keep it in great working condition and let you know recommended services that might not be urgent to take care of. Like our motto says, “We only fix the things that need fixing!” So no need to worry about breaking the bank every time you walk into our shop. All makes and models cars and pick-ups, working with all insurance companies, M-F 8-5. Free Estimates. Visit our website. Collision Repair, Paint, Glass, Suspension and Alignments. New Castle Motors, serving northern Delaware, is a reputable pre-owned car dealership that offers a large variety of used cars, trucks, and SUVs at affordable prices. They care for their customers and strive to help people find a car they want with a financing plan that suits their situation. Over 4,000 vehicles sold since their inception in 2000. New Castle Motor’s late model vehicles pass a rigorous 27-point inspection and come with a solid, but upgradable warranty. With caring customer service and their Buy-Here-Pay-Here financing, New Caste Motors strives to be the go-to auto dealer in Delaware. Committed to setting a new standard with business hours 7 days a week for Sales and Service. We also offer affordable accessories for every budget and a comprehensive inventory of New, Certified and Used vehicles. Conveniently located in Wilmington, Delaware, Northeast Body Shop has been serving New Castle County drivers since 1964 with all their auto and truck repair needs. We are family owned and operated and pride ourselves in providing top quality collision repair, restoration, custom painting, detailing and towing services. Current owner, Charlie Allen Jr. ensures that all of Northeast Body Shop’s technicians are ASE (Automotive Service Excellence) Certified so you can rest assured that your vehicle is in good hands. Paul Campanella’s Auto & Tire Center is proud to be recognized as the best full-service auto repair shop and tire center in Northern Delaware. All of our technicians are ASE Certified, and we provide a 24,000 mile/24 month warranty on all repairs. Not to mention – every car repair service comes with a free car wash and vacuum! Premier Luxury Rentals is Philly’s top provider of Limo Services, Luxury Car Rental Services, Party Bus Rental Services and Private Jet Rental Services. Founded in 2003, we are a leading solution for luxury rentals in the Philadelphia, New York, New Jersey, Delaware and DC metropolitan areas. We make our customer’s dreams come true either behind the wheel of the luxury car of their lifelong fantasy such as Bentley, Rolls-Royce, Cadillac and Mercedes-Benz, or in the backseat of one of our professionally chauffeured vehicles for limo services and car services ranging from a Mercedes-Benz S550 to a 32-passenger party bus rental. Rayco is a second generation, family owned and operated upholstery shop. Founded in the late 1940s as ‘Rayco Auto Seat Covers’ and the ‘Rayco Manufacturing Co.’ in Patterson, New Jersey. It grew into a national franchise of dealers distributing shock absorbers, mufflers and seat covers, and by 1968 had 150 stores across the united states, and Puerto Rico. Some time in the late 1970s, the Rayco national franchise went Bankrupt, which allowed the owners of the shops to keep the Rayco name and run independently. Purchased by the Tiberi family in 1976, Rudy Sr. and Ginger Tiberi ran the company for 35 years. Over that period of time they saw the growing demand for car and boat upholstery and starting hiring some of the best trimmers in the business. Eventually make Racyo synonymous with upholstery/mufflers and shocks. In 1994 their son Rudy Jr. started working in the family business. During that time he was being trained by the employees, who were highly skilled trimmers, who most were self taught and had exceptional talent for the business. After years of learning how to sew/make custom patterns, and run the office, Rudy Jr eventually became the head upholsterer and manager for the shop. In 2011 Rudy Jr. purchased the company from his parents, and has directed the business to solely focusing on upholstery. Using his 22 years of experience to grow the business into not just auto and marine but medical, aviation, commercial and industrial upholstery. His present staff has over 70 years of combined knowledge and experience, and strive to keep the balance between the “old world family friendly work environment” with 21st century cutting edge service and products. Your rock chip repair is approved by most all major insurance companies to repair your windshield at no cost to you! Insurance companies would rather pay us to fix your windshield rock chip than to have to replace your windshield for five or six times the cost. We service the Delmarva & Eastern Shore area. If you are tired of looking at that chip, CALL US today at 302-202-3202 or TEXT US at 302-202-3202 to see if your insurance company covers auto glass repair. If you want to go ahead and make an appointment for us to come out to your location for repair service, visit http://www.repairachip.com and schedule your appointment. We will verify the appointment either by email confirmation or by phone. Family owned and operated since 1977. We are an American Car Care Center Facility. Fast friendly service. We are distributors of ALL major brands of new tires. We also stock a large selection of used tires. We perform all major and minor automotive repairs to all makes and models at a fraction of the dealer cost. We are Wilmington Towing & Roadside Assistance. A 24-hour towing company servicing Wilmington, DE, and all surrounding areas. We pride ourselves to be Wilmington’s most affordable and reliable towing company in all of Delaware. Give us a call when you need quick breakdown assistance services or tow truck services.